Actually, I have my heart, and two hearts of my boys. So a piece of my heart will be with them, wherever they choose to make their home. 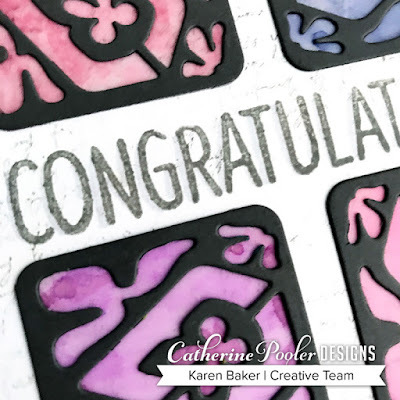 I started with a cream card base and stamped the lovely Love Notes Background Stamp in Over Coffee Ink, after removing some of the ink by stamping off. I then inked the edges with Over Coffee Ink. 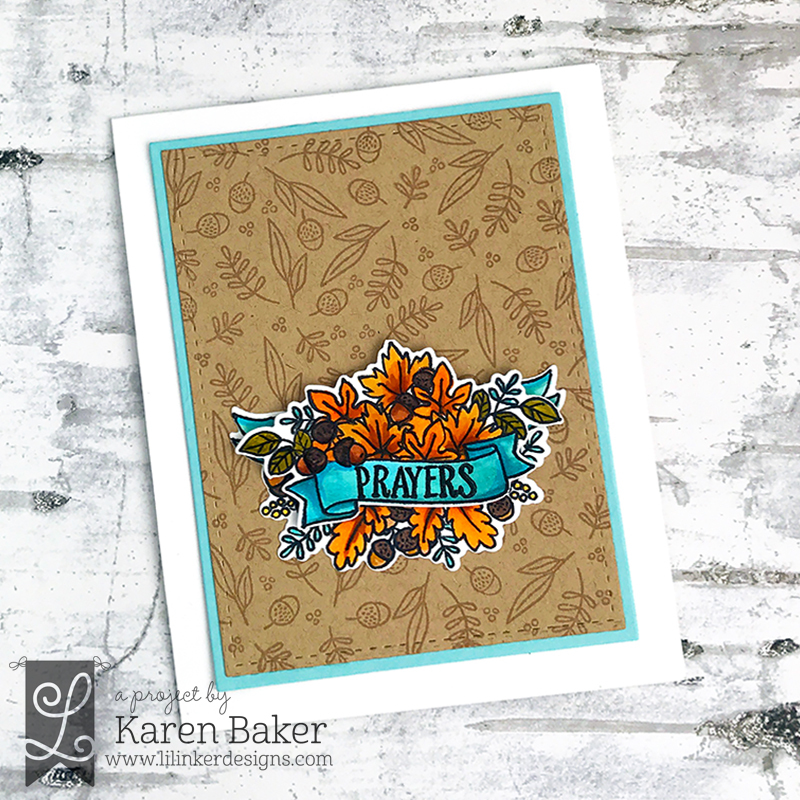 Next, I stamped the flowers from Happy Together and leaves from the Sweat Home Wreath in Mandarin Spice and Sauna Inks. I finished the card by die cutting some locks from The Keys Dies and Sand Dunes Cardstock, inking the edges with Over Coffee Ink and a sentiment from the Sweet Home Wreath stamp set. 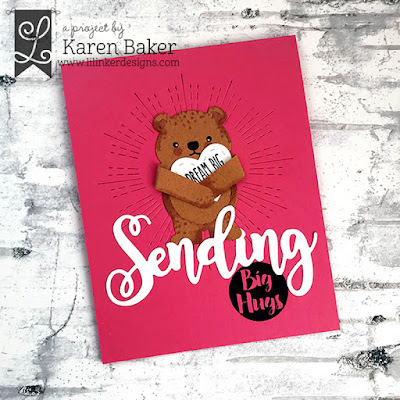 I gave this card to a friend to send to her daughter that is in the air force-I know she misses her and wishes she could see her more often. I have one of my favorite cards that I created to showcase today. I started with a bright pink card base in which I cut the Radiating Love Heart Die on the front panel. I set the panel aside and created a super sweet bear from the Bear Hugger Stamp and Die Bundle. He was cut from brown paper and I stamped the face with black, and colored with markers. 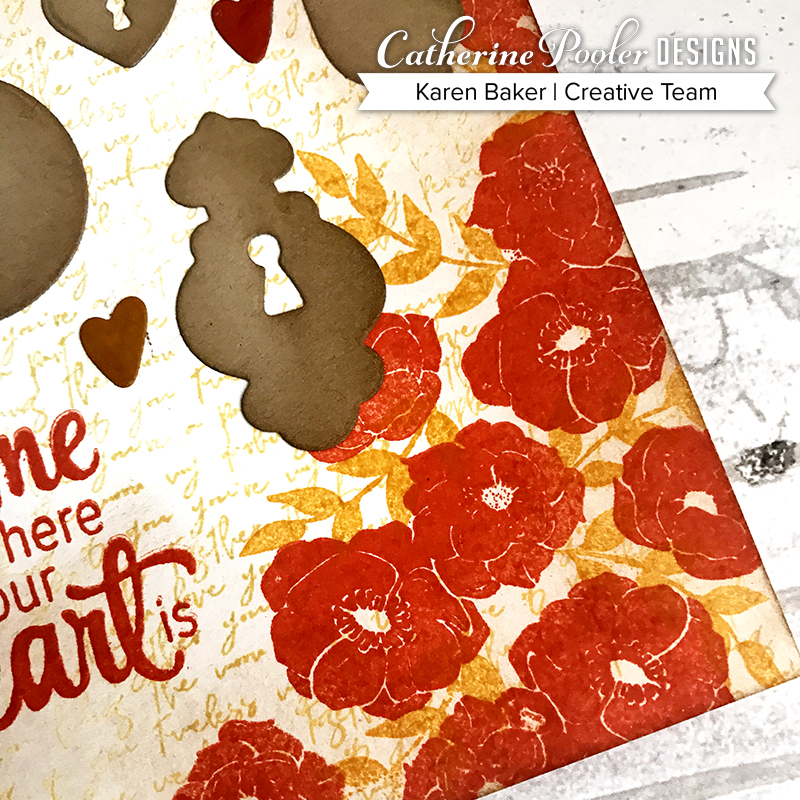 I then die cut a stitched heart from the Perfect Palette Heart Cover-up Die (this die offers you stitched and non-stitched cut-out hearts!) and stamped a sentiment from the Heartthrob Stamp Set. I wrapped the arms from the bear around the heart (which also perfectly holds a wrapped piece of candy!). 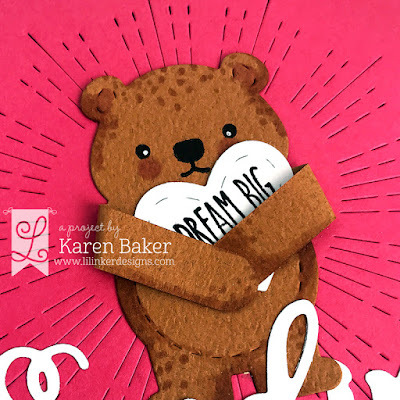 I finished the card by die cutting the Sending My Love Word Die and cutting off "my love" and stamping a sentiment from the Bear Hugger Stamp and Die Bundle. 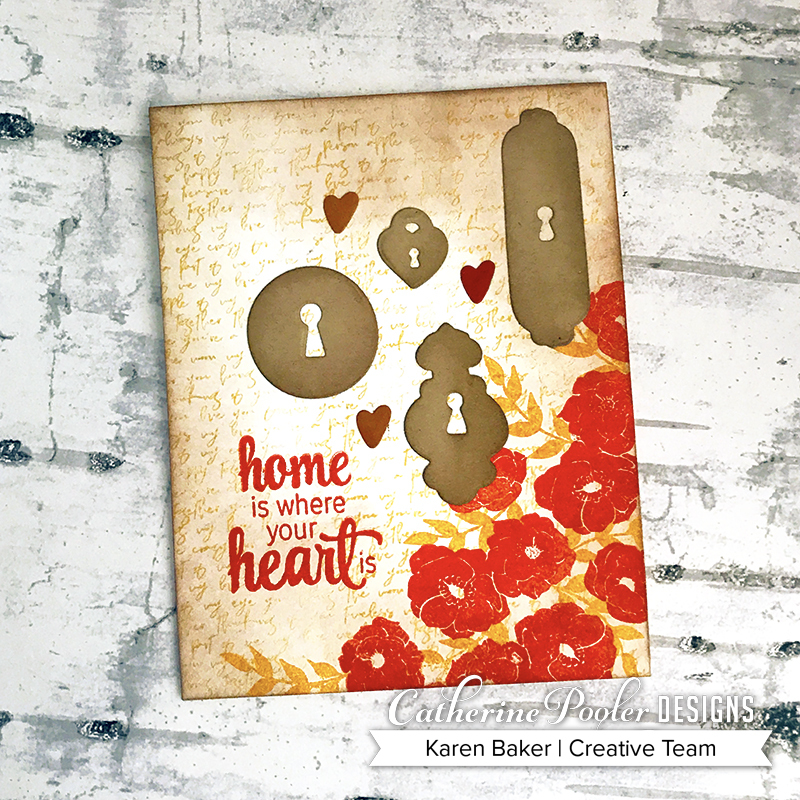 I used some left over hearts from the Perfect Palette Heart Cover-up Die and stamped various patterns of hearts from the Heartthrob Stamp Set. 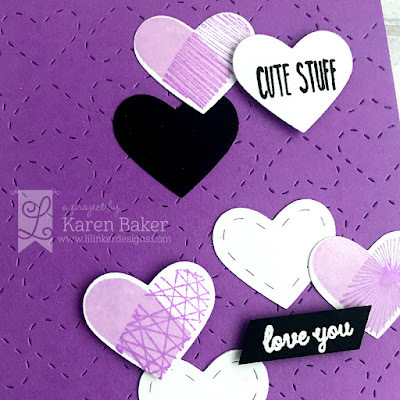 I then adhered these onto a purple card base that was embossed with the Quilted Stitched All Hearts Cover-up Die and finished with a heat embossed sentiment from the Heartthrob Stamp Set. 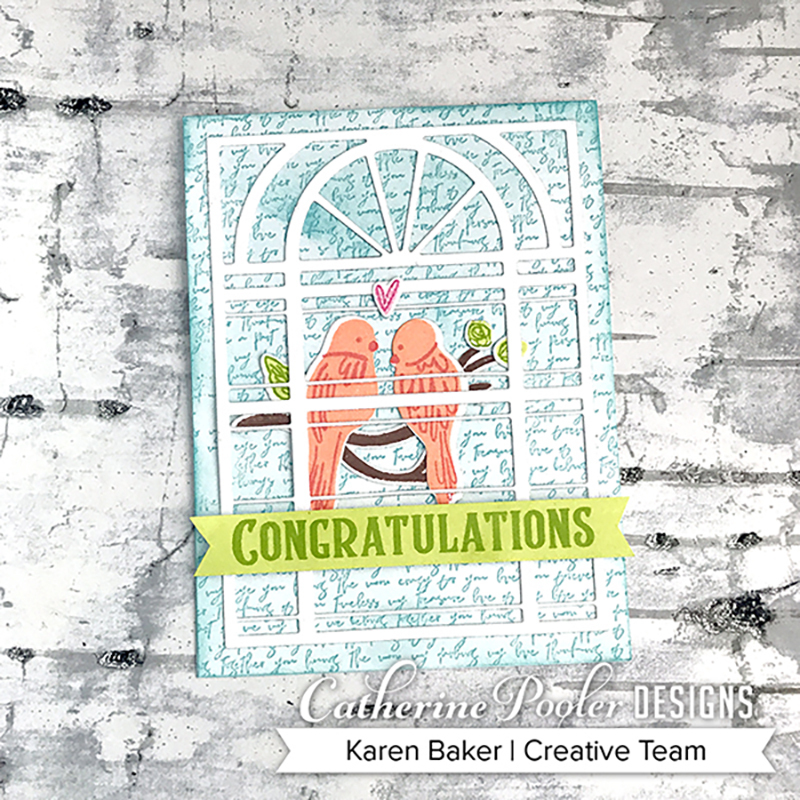 Today I have another card featuring the Perfect Palette Heart Cover-Up Die, this time paired up with the adorable Perfect Pairs 2 Stamps and Perfect Pairs 2 Dies, along with the new Perfect Pairs Additions Stamp Set. These all complement absolutely perfectly with the previously released Perfect Pairs Stamp and Die Set, which I also featured on my card today. I die cut the Perfect Palette Heart Cover-Up Die in blue paper and mounted it onto a white cardbase. 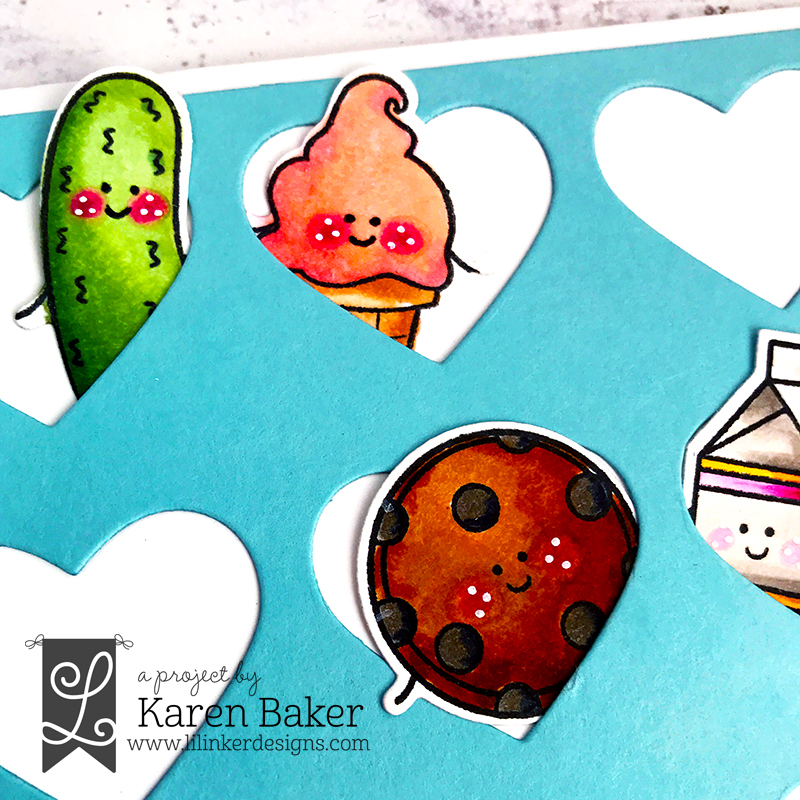 Then I colored the cute images from both the Perfect Pairs 2 Stamps and Perfect Pairs Stamp and used the respective dies to cut them out. They were colored with copic markers and tucked into the open hearts. 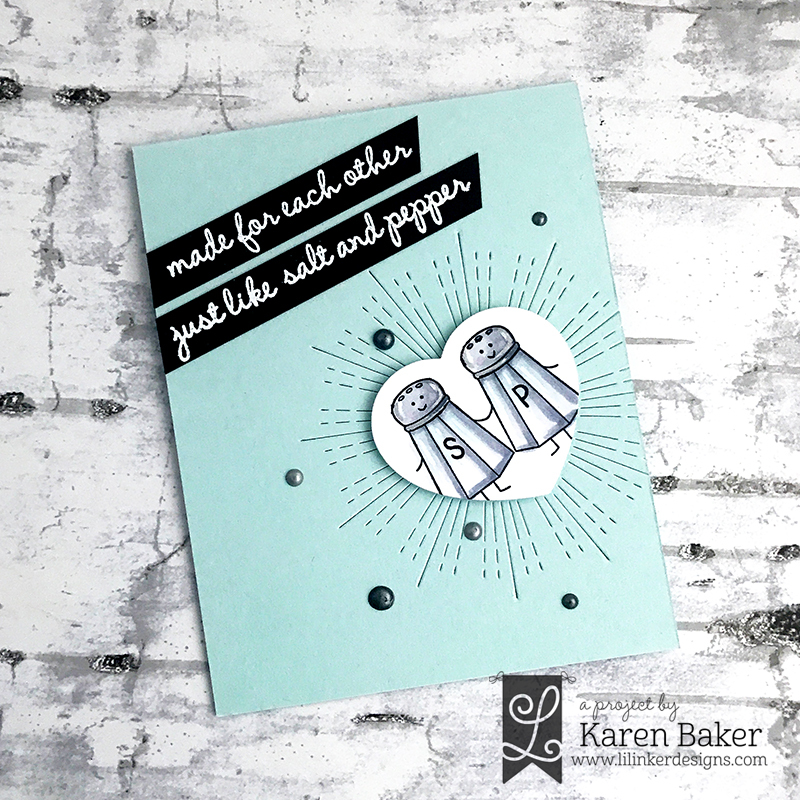 I finished the card with a heat embossed panel using a sentiment from the Perfect Pairs Additions Stamp Set. 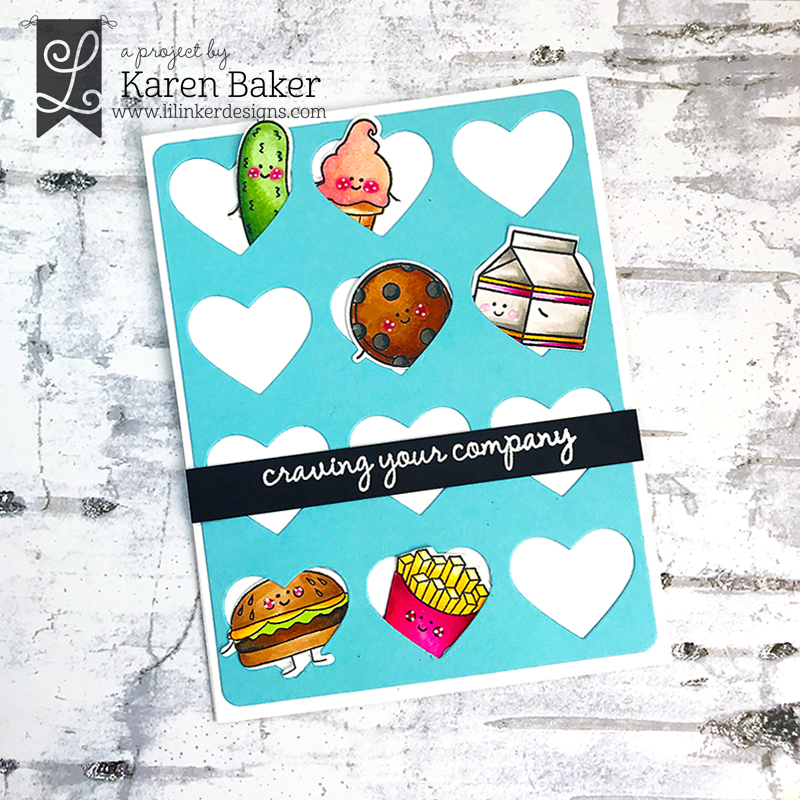 I have another card featuring items from Perfect Pairs 2 Stamps and the Radiating Love Heart Die. 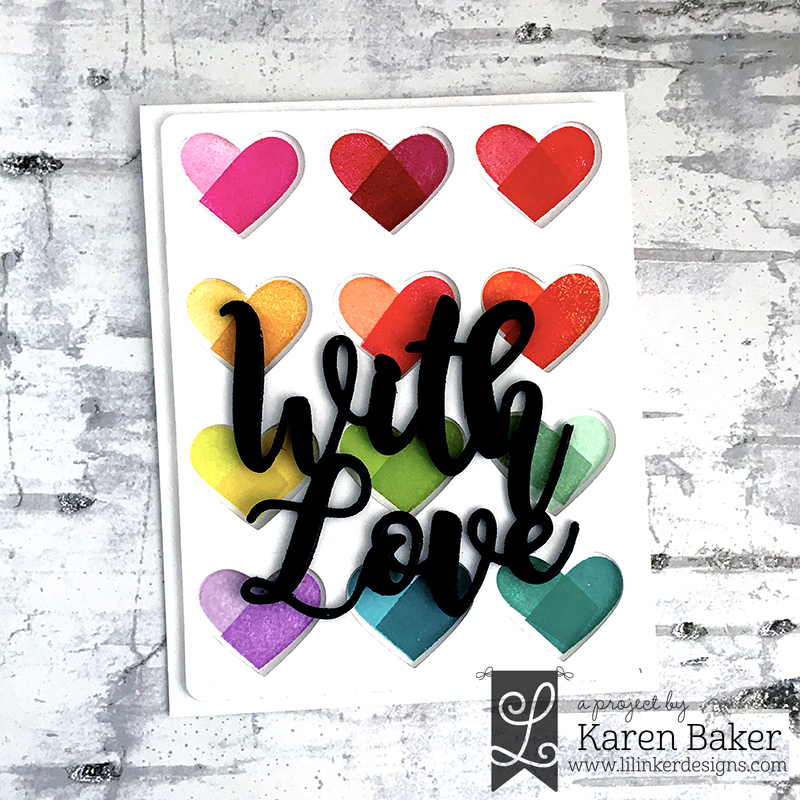 For this card, I die cut at an angle the Radiating Love Heart Die from a light blue card front and then also a white panel. 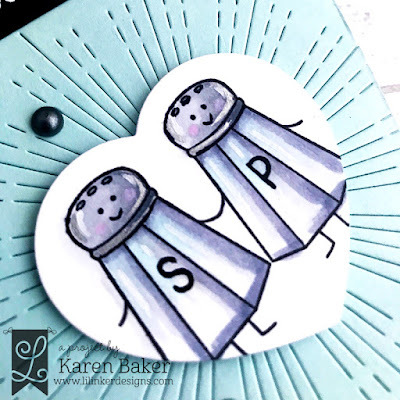 Onto the heart, I stamped the salt and pepper shaker from Perfect Pairs 2 Stamps and colored them with copics and added silver and white highlights. This heart was then adhered to the card base. I finished the card with a heat embossed sentiment panel from Perfect Pairs 2 Stamps and some Nuvo Drops. My first card showcases the super cool Perfect Palette Heart Cover-Up Die and the trendy Heartthrob Stamp Set, along with the large, beautiful With Love Word Die. I started by die cutting the Perfect Palette Heart Cover-Up Die which creates a perfect panel for a cardfront and then very lightly traced the heart shape onto a white card panel. 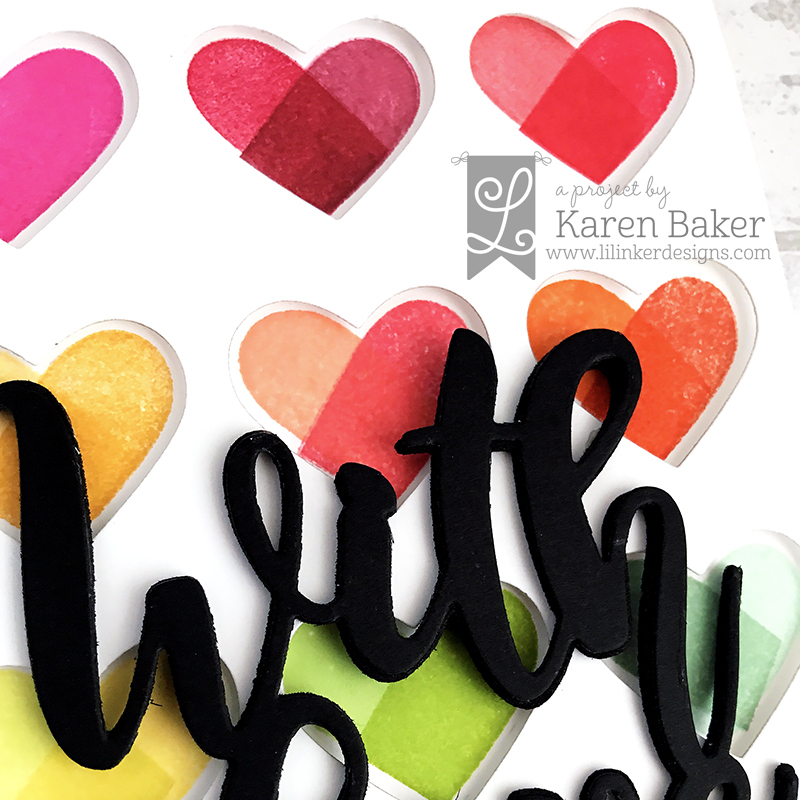 Then I created an array of solid rainbow hearts by stamping the solid half-heart shape from the Heartthrob Stamp Set in two shades of ink. I then adhered the Palette Panel onto the card front with dimensional adhesive. 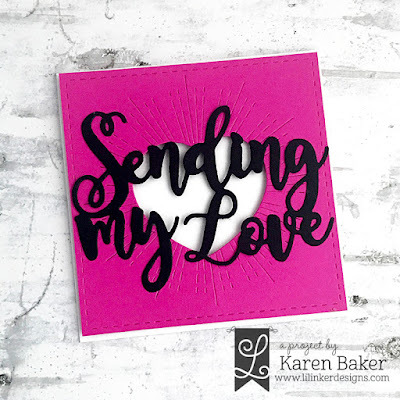 To finish the card, I die cut the With Love Word Die from both black foam and black cardstock, stacked them and glued them, and then added it to the card, what a fun Valentine or an every day card to give to someone you love. I have another card featuring items from this release that can be used beyond the Valentine season. I started this card by die cutting the Radiating Love Heart Die from fuchsia paper. I love that this cuts not only a nice sized large heart from the cardstock, but also the radiating lines! I then used the classic Stitched Mats: Dual Stitched Squares to create a panel with the Radiating Heart, and then adhered the panel onto a square, white card base and then die cut the large, beautiful Sending My Love Word Die from both black foam and black cardstock and adhered it to the card for a finishing touch. 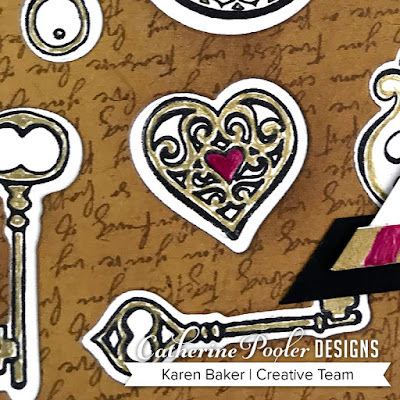 I love every last item from the Stamp of Approval Adoring You Collection (affiliate links used) from Catherine Pooler Designs, but the keys and locks from The Key Stamp Set and The Keys Dies (add-on item) and Love Notes Background Stamp top the list. 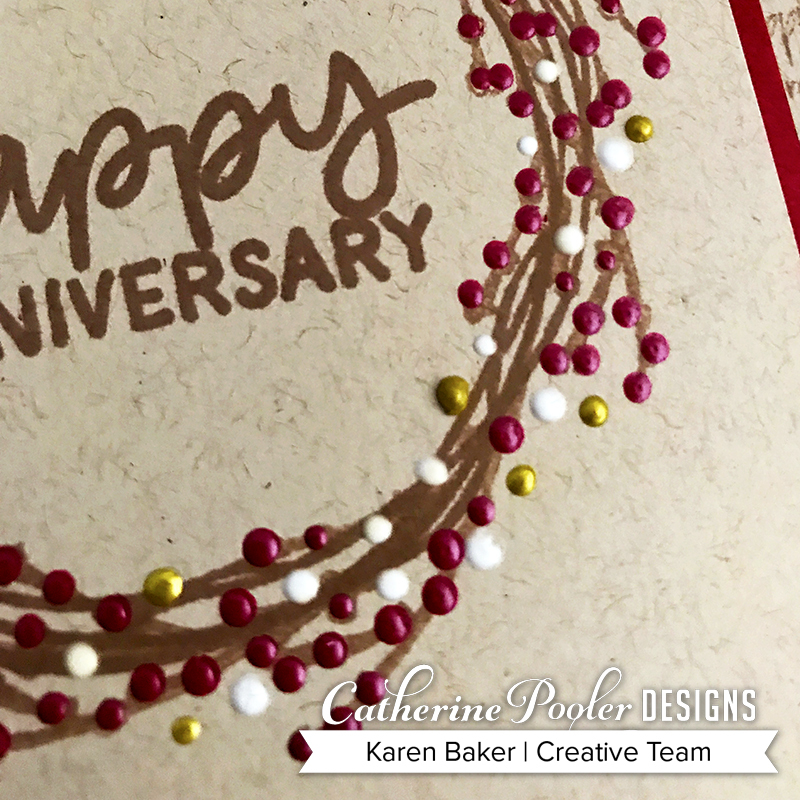 For this card, I started with a Sand Dunes Cardstock panel and stamped the Love Notes with Icing on the Cake Ink and then ink distressed a few areas to create an aged look. One technique I like to do a lot is to die cut items without cutting them apart, as I did here. I used the arrangement of The Keys Dies to determine the layout of the card. I then placed the panel onto a white cardbase and stamped the matching keys and locks from The Key Stamp Set. 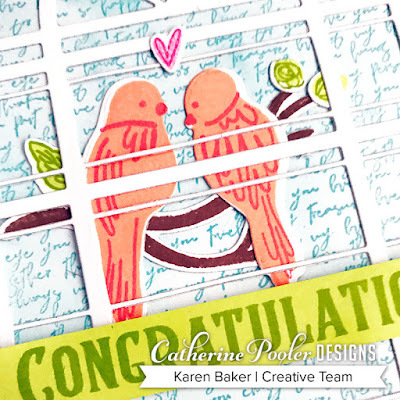 I finished the card with a few strips of solid paper and washi tape, and a sentiment from The Key Stamp Set. 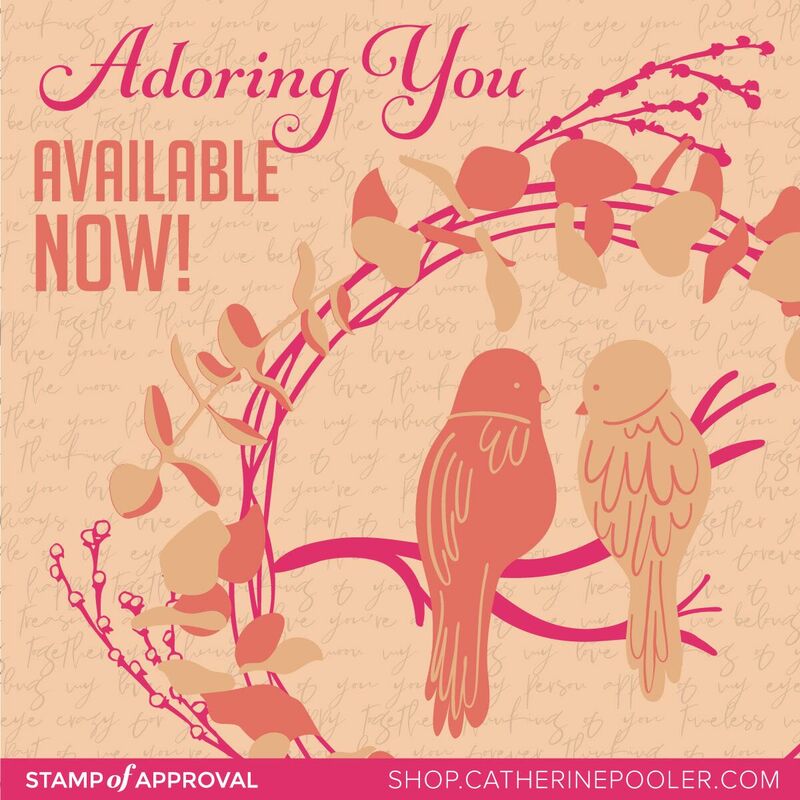 You are in for quite a treat, as the newest Catherine Pooler Designs called Stamp of Approval has arrived! Past releases have been spectacular and this one is just as spectacular! 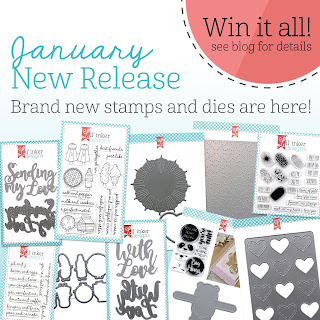 Let me help introduce the Stamp of Approval Adoring You Collection! The Stamp of Approval Adoring You is an exclusive collection. The products were designed exclusively for this box, are brand new and won't be available separately for a number of months. This happy box is jam packed full of items that are perfect for Valentine's Day, but as my products showcase today, perfect for any time of the year. I really love how all the items and add-on of the COLLECTION work so well together. 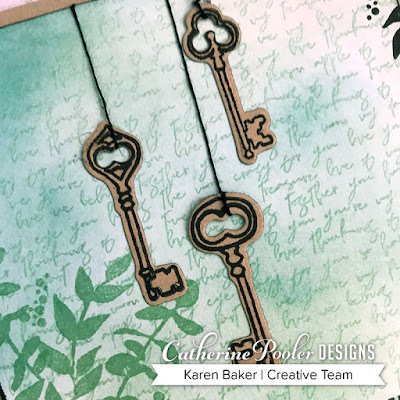 I finished the card with some stamped and cut keys from The Key Stamp Set and corresponding add-on The Key Dies Set from Sand Dunes Cardstock. The keys are hung from the panel with black string and the panel was mounted onto a Sand Dunes Cardstock card. I have another card featuring the new items from the new collection! This card is has a romantic vibe to it. 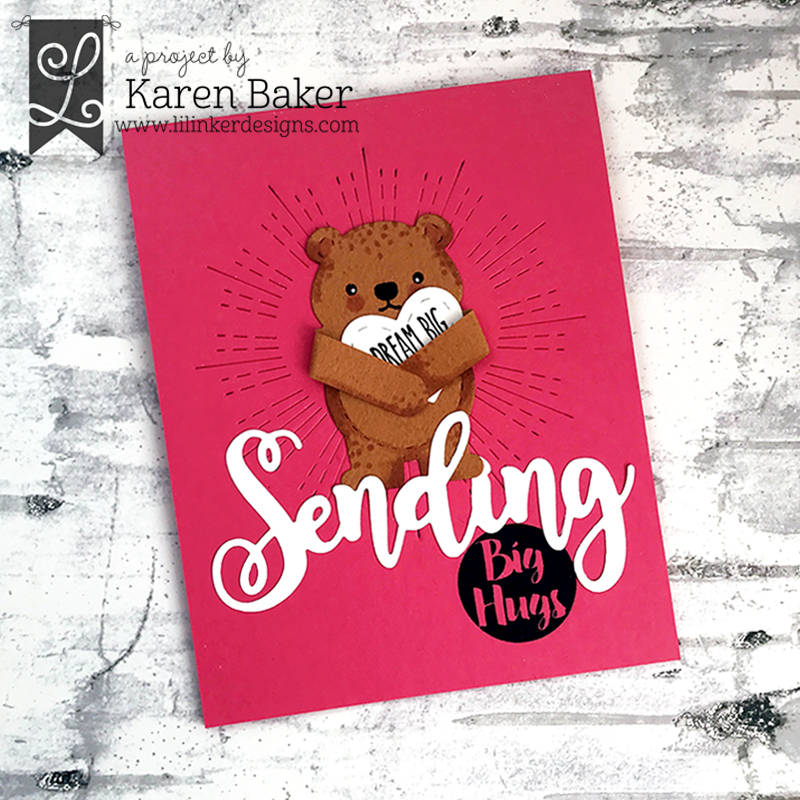 I once again started with Catherine Pooler Ultra Smooth White Cardstock as a base and inked the Love Notes Background Stamp in It's a Boy Ink and then used a soft brush to ink up the edges. I then used the cool Adore Die to die cut a "window" from Ultra Smooth White Cardstock and set this aside. I created a little scene of birds on a branch using the Happy Together Stamps and corresponding add-on Happy Together Dies. (Inks used: Bellini, Coral Cabana, Icing on the Cake, Lime Ricky, Garden Party, It's a Girl and Party Dress). 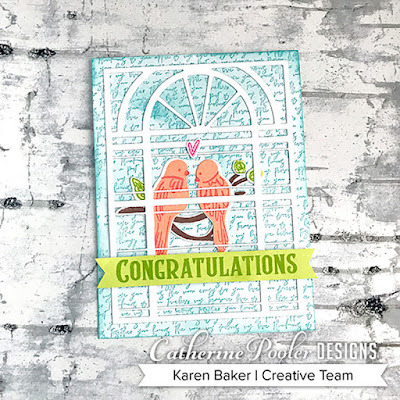 I layered the window die over the bird scene and then I finished by creating a custom banner covering some Ultra Smooth White Cardstock with Lime Ricky and stamping a sentiment from Congratulations Sentiments with Garden Party. 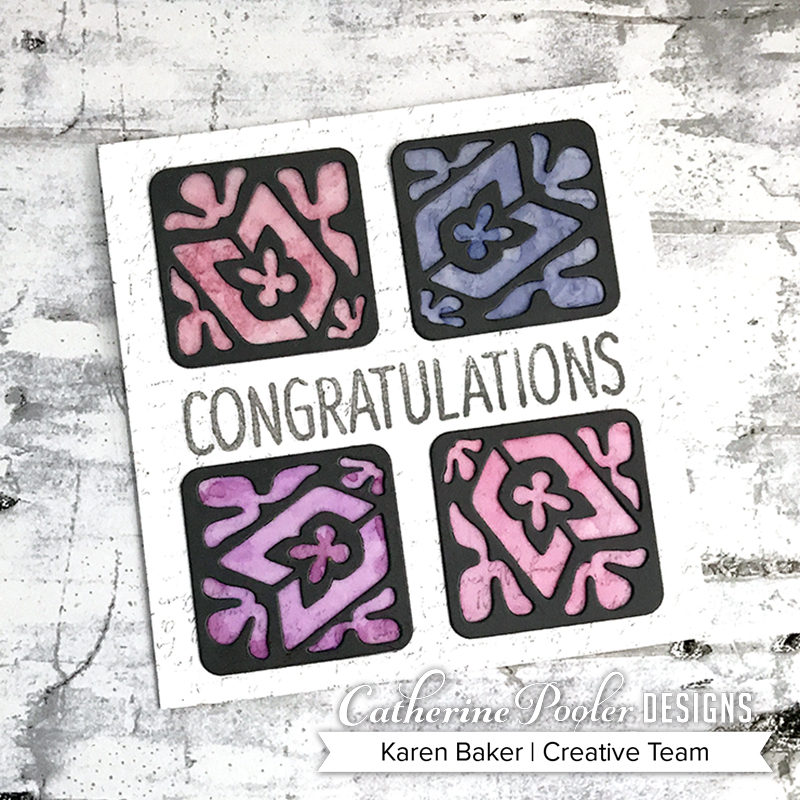 One last card for today...for this Congratulations card I started with a square card base made from Catherine Pooler Ultra Smooth White Cardstock and then onto it I stamped the beautiful Love Notes Background Stamp in Twilight Ink. On the middle of the card, I stamped the sentiment from Congratulations Sentiments, also in Twilight Ink. To create interest, I created four panels by die cutting the add-on Backsplash Dies from Smoke Cardstock. I backed each panel with the amazing Vellum Cardsock. Before adhering each backsplash die, I colored the vellum backs with Copic Markers for a stainglass look. 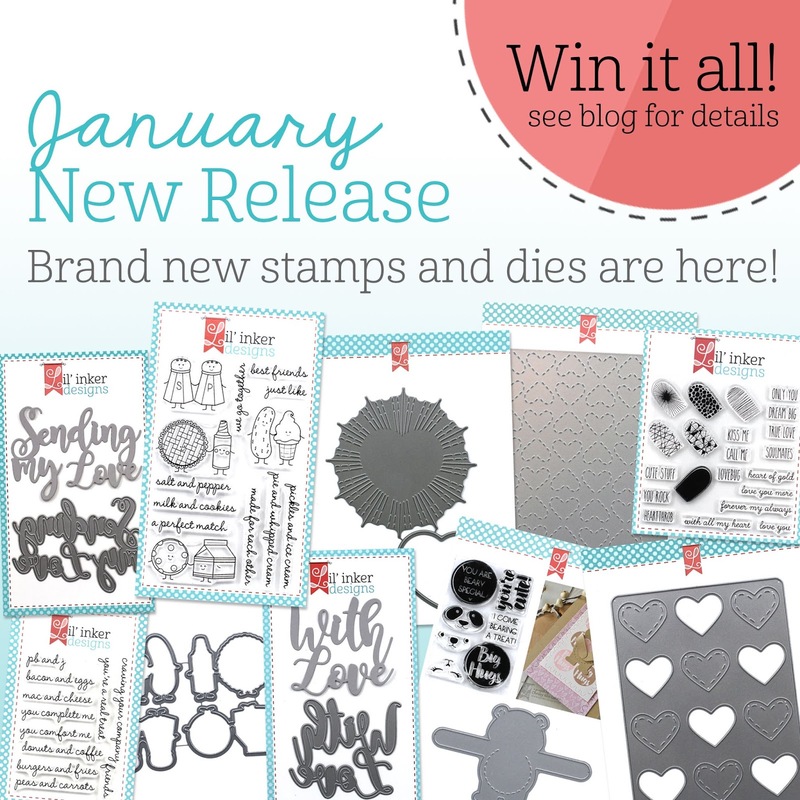 There's also prizes up for grabs to celebrate the Stamp of Approval Adoring You Collection. 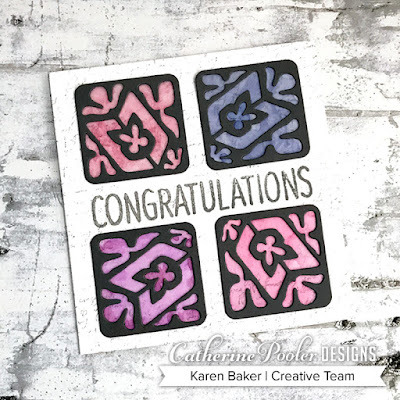 2 random winners chosen to receive $25 Gift Certificate to the shop and winners will be announced January 14 on Catherine's Blog.